TURKEY - The Perfect choice - Sail off the beaten track this summer in safe secluded waters and discover, unrivaled beauty for exceptional value. It comes as no surprise that the word ‘turquoise’ derives from the Greek word for Turkey, since this fascinating country’s coastline is lapped by crystal-clear, turquoise waters, with secluded anchorages, endless sunshine and great sailing winds, Turkey is a true yachtsman’s paradise. 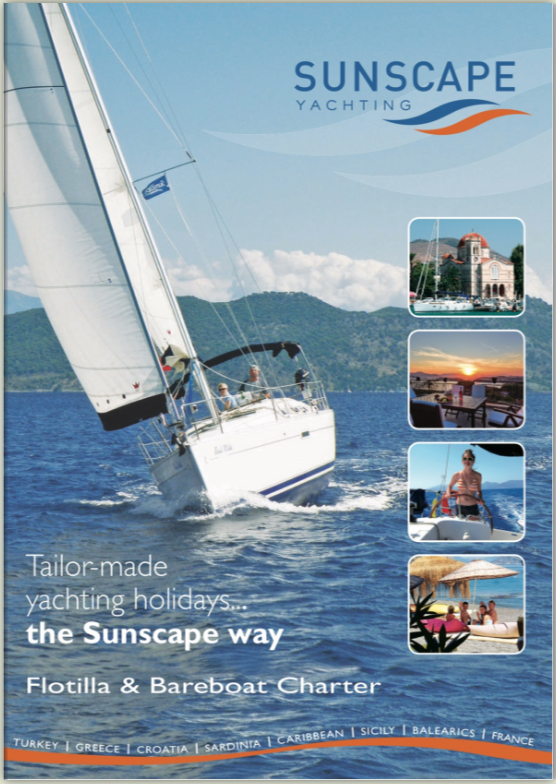 Whether it is a bareboat charter, a flotilla holiday, a Learn to Sail Course or a hotel stay you are after, Sunscape is here to help you make your holiday special. The Sunscape Team have visited all the places on offer, therefore the team is extremely knowledgeable and can taylor-make your holiday with a personal touch. Sunscape is well established in Turkey. We have built an excellent relationship with the local people, who never fail to welcome you with a smile. Reliable conditions from May to October, with north-westerly’s 'Metem' wins (force 2-4, occasionally 5-6) from late morning through to late afternoon. Winds tend to fade as the sun goes down providing calm nights for anchoring. Own Yacht tuition: Prices in £ per yatch (maximum two students; additional students 16 years and over - extra £140 per person). Live aboard school yatch: Prices are per person, based on 2 sharing a cabin. All prices are exclusive of flights and transfers.